A while back Amazon announced that it would be giving free digital copies music from CDs to users that purchase their music through the Amazon.com website. The service was called AutoRip. 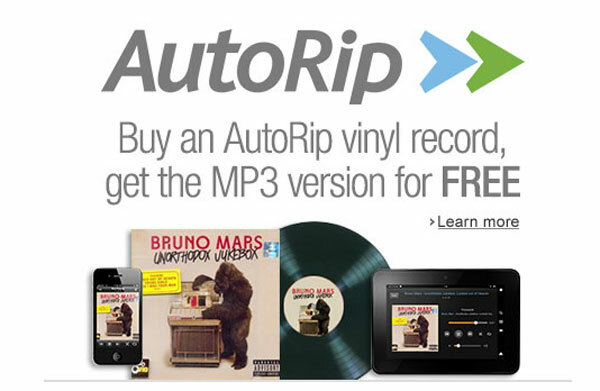 Amazon has now announced they will be giving digital copies of songs that users purchase on vinyl records as well. The digital copies of music purchased on vinyl albums via Amazon will be placed directly into the users Cloud Player library at no additional cost. Amazon is offering the digital tracks on any vinyl album purchase dating back to 1998. The digital versions of the vinyl albums can be played on any device including the Kindle Fire, Android smartphones, or tablets.